Quiet Dining Room in the Cafeteria. Tognetti. “I usually go there around 10 a.m, swipe in and I am there studying with my laptop until the late afternoon. I was there for 7 hours one time!” Bob also added that the cafeteria gets a little hectic during lunch and dinnertime but other than that it’s as quiet as the library. 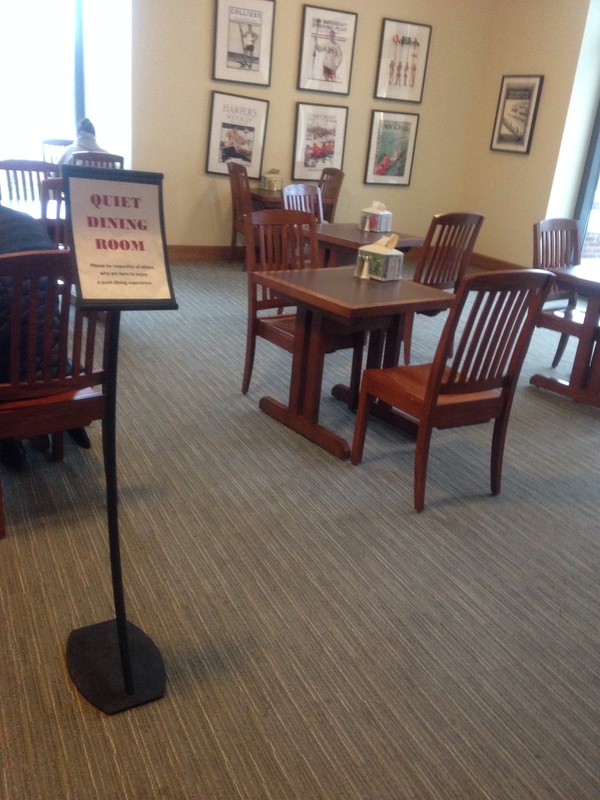 So if you want to get your studies done while indulging in some delicious cafeteria food supplied by Sodexo, then the quiet room in the Cafeteria is the place you want to be during finals week. Donnelly Computer Lab. Open 24/7. Can’t rely on your slow laptop during finals week? Well then the computer lab in Donnelly is the place for you. The lab is open 24 hours a day and there is no better Internet connection anywhere else on campus. 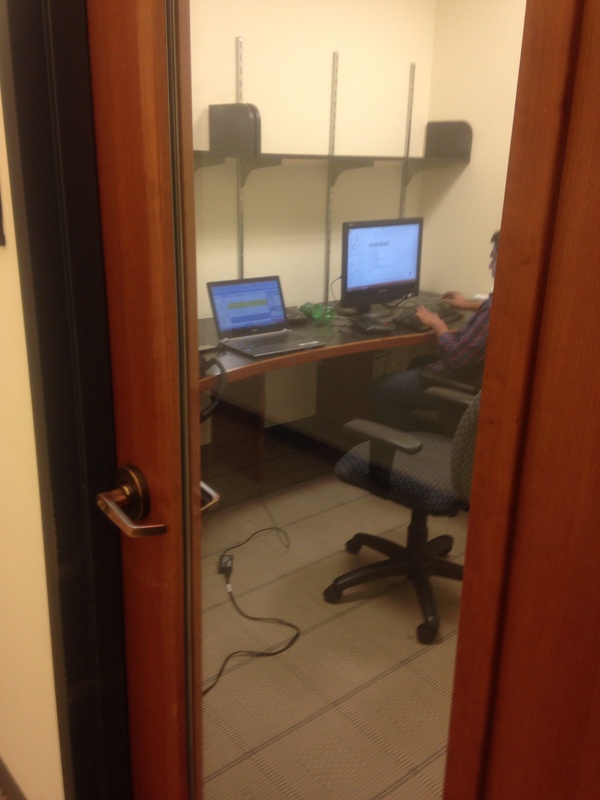 “I do all of my work in the Donnelly computer lab,” says Junior Dylan Clay. “I’m a Bio major so I spend a lot of my time in Donnelly and I have realized how efficient the computer lab is. 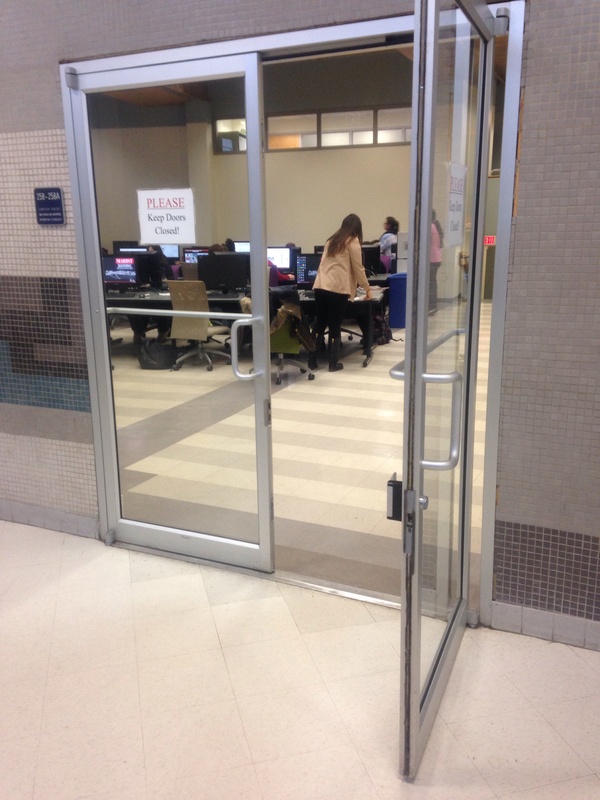 I prefer to use the computers at the school instead of my laptop because the Internet is faster and whenever I need to save something I will save it to my hard drive or email the work I did to myself.” The computer lab is open all day and night, perfect for your finals week binge studying. The library is one of the toughest places to study during finals week. But if you are able to get one of the quiet rooms on the 3rd floor, these rooms have all of your essentials. One of the quiet rooms on the 3rd floor of the library. “I don’t need to study for too long so the quiet rooms are perfect for me,” says Senior Louis Cotrone. “You can only have the quiet room in the library for a limited amount of time but it is so quint and cut off from the rest of the library that I get my best studying done there.” The quiet rooms also provide you with a computer if you don’t have a laptop with you. So if you simply need that quiet time but don’t need to sleep at the library, then the quiet rooms are perfect for you. 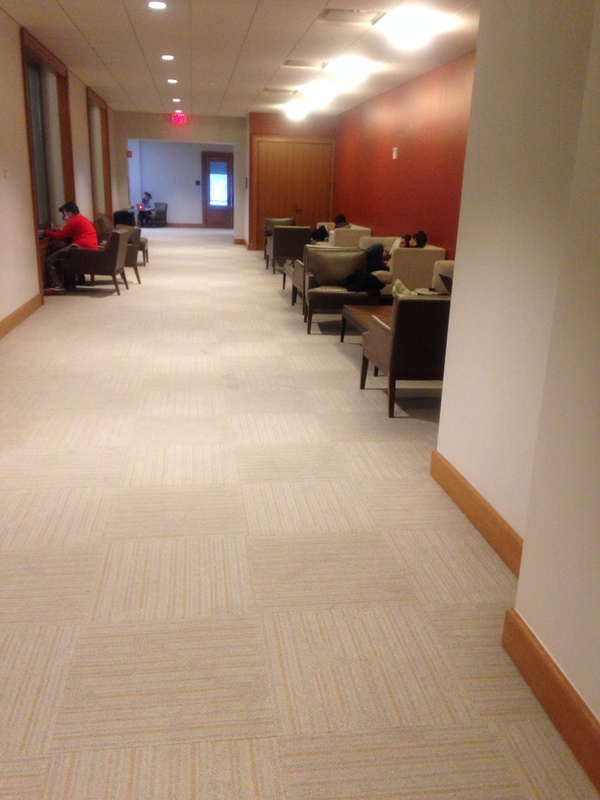 The newly build Student Center provides a surprisingly quiet and comfortable environment. 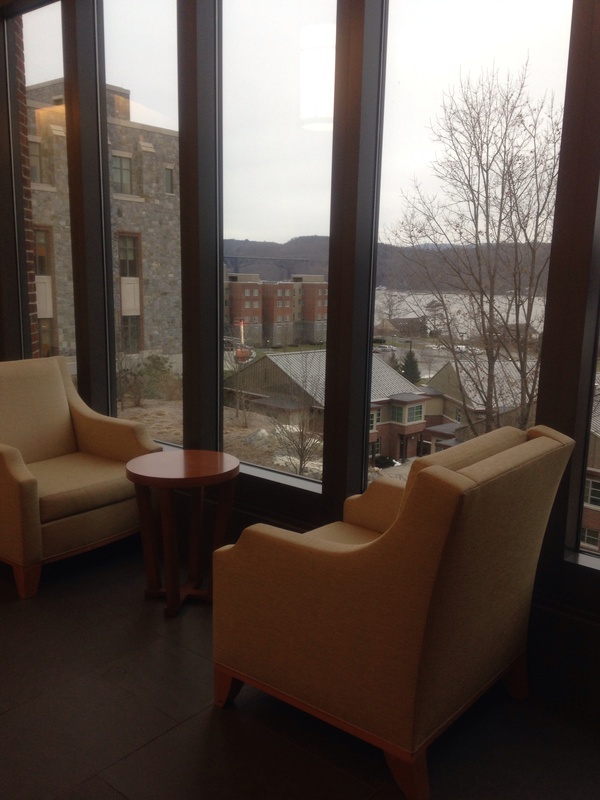 Due to the renovations to this building, Marist has created a comfortable environment for students to sit and relax. This area is located right next to the Nelly Golleti Theatre and overlooks the cafeteria. This quiet area provides comfortable couches and small wooden tables where you can put your laptop or books on. Lounge area in the Student Center. If you want a beautiful environment to study during your finals week, anywhere in Hancock can satisfy your needs. The Hancock Center is one of the biggest and exquisite buildings on campus. Anywhere you go in this fine building can give you a quiet and surreal setting for your studying habits. “I love to study in Hancock,” explains Sophomore Sarah Parady. “The ambiance makes me feel like I am at home. The couches are quite comfortable and the view is amazing.” The Hancock building also provides a Starbucks where you can grab yourself a nice hot coffee to keep you up and alert to continue on studying. The beautiful view in Hancock Center. This entry was posted in On Campus, Stuff You Should Know. Bookmark the permalink.